The expansive campus spanning over 40 acres hosts courses, seminars, camps, conferences, meetings and forums, all generally geared towards social change. 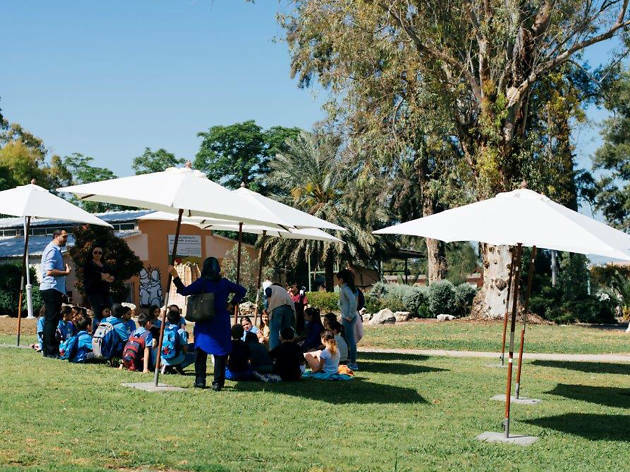 As a non-profit organization founded in 1949 by the Kibbutz Federation, The Center for a Shared Society at Givat Haviva has a vision for a more inclusive and socially cohesive Israeli society. 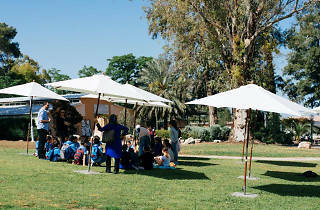 With vast green lawns, numerous classrooms, conference rooms and guest rooms, an auditorium, library, swimming pool, dining room, and more, the center provides a peaceful neutral space to host programs engaging with divided communities, working towards a more sustainable and thriving country. Thousands of students, activists, leaders, and citizens from diverse backgrounds congregate on the campus every year for various retreats, festivals, and conventions.